Gus Hansen - The Most Aggressive Poker Player on the Planet? Home » Players » Gus Hansen – The Most Aggressive Poker Player on the Planet? 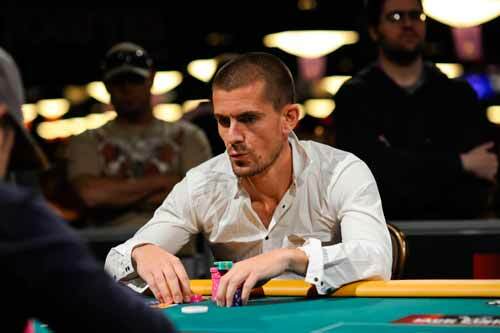 Gus Hansen – The Most Aggressive Poker Player on the Planet? Gus ‘The Great Dane’ Hansen was born in 1974 not far from Copenhagen in Denmark. The Dane grew up with a big focus on sports, and Gus was never far away from a tennis or football match. When he was younger he was a maths whiz and this was his strongest subject at school. This interest led him towards the game of Backgammon which is heavily based on maths. He devoted his life to practising backgammon and eventually he moved to New York in America to test himself against the best backgammon players in the world. He spent some time visiting all the backgammon clubs in New York and other cities in America and it was during this time that he was introduced to various forms of Poker and made friends with two other famous names in the poker world, Huck Seed and Phil Laak. With limited opportunities in the backgammon world Gus decided to turn his attentions to poker and began to learn and refine his game. Little did he know at this point that this would develop into one of the most aggressive and unique styles of play in the poker world today. Gus first took part in the World Series of Poker in 1996 but was taught a harsh lesson after he was eliminated on the first day. Having never played No Limit Holdem before he soon realised that he had a lot of work to do if he wanted to be a successful poker player. He began to experiment with his style to tailor it towards the game of no limit Holdem and the result of this was the super loose aggressive style that we know and love to watch from Gus these days. By the time of the poker boom really kicking in and the start of the World Poker Tour Gus had perfected his style and took the World Poker Tour by storm. He won the inaugural WPT event which was the $10,000 No Limit Holdem tournament at the Five Diamond World Poker Classic and then later on in series one of the WPT he won his second title at the WPT L.A Poker Classic. Hansen earned over $1million from these two tournament wins alone. In the second series of the World Poker Tour Gus continued his success wining the invitation only Bad Boys of Poker WPT tournament and the WPT Caribbean Adventure tournament. He also came close to a fifth WPT title when he came 3rd in the Bellagio Five Diamond WPT tournament. To this date no one has matched the four WPT titles which Gus holds and he has been inducted into the World Poker Tour Walk of Fame to recognise his achievements. In 2005 Gus became more selective with the tournaments he played in and became more of a cash game player and is a regular at the ‘big game’ at the Bellagio in Las Vegas. Despite this he still has strong tournament record in 2005 and 2006 making the final table of the FullTilt Poker Invitational event and winning the first series of the popular TV tournament Poker Superstars. 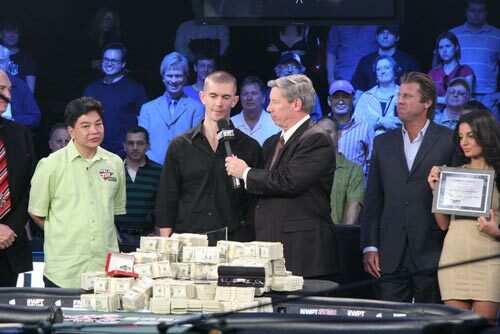 In 2006 Gus made poker history by winning the biggest ever single hand pot and everything was captured on the show High Stakes Poker. He won $575,700 in a pot against Daniel Negreanu when his quad fives beat Negreanu’s full house. In 2007 he picked up another major tournament win when he won the Aussie Millions tournament in Melbourne. Off the back of this win he released a book called Every Hand Revealed in which he documents his Aussie Millions win where he beat 747 players and won $1.2million. In the book he looks at all the key hands in the tournament and reveals his methods and reasons for the way he played. To date his career tournament earnings are $11.2 million. Outside of poker achievements he was voted the 50th sexiest man in the world in 2004 by People’s Magazine. Gus Hansen was a popular member of the original Full Tilt Poker team, joining in 2006 and being an original investor and shareholder in the company. He is highly respected by the poker community due to the way that he stood up for the players of Full Tilt Poker during the difficult Full Tilt Poker black Friday situation. When the new owners took over Full Tilt Poker they immediately announced that Gus Hansen would be the only former member of Team Full Tilt to continue in the role. He was joined by new Team members Tom “Durrrr” Dwan and Viktor “Isildurl” Blom to promote and be advocates for the relaunched Full Tilt Poker. If you see this avatar on Full Tilt Poker then you are playing with Gus Hansen! If you want to watch or play with Gus at the tables then he can regularly be found playing high stakes games on the Full Tilt tables. He will also play in some of the bigger Full Tilt tournaments such as the Full Tilt Online Poker Series (FTOPS) and will often talk to the fans whilst playing. 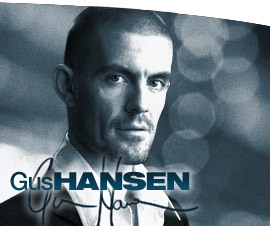 Want to Chat and Play Poker with Gus Hansen?